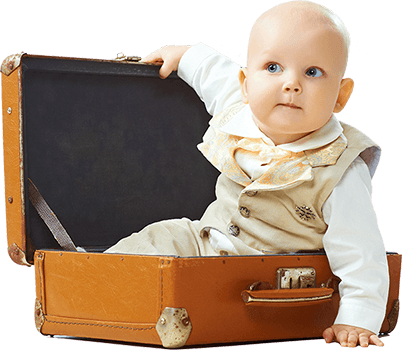 Baby Equipment Rentals | Baby's Away | For Traveling And Vacationing With Babies. Rent Cribs, Car Seats, Strollers, High Chairs, Toys, Etc with Drop-Offs and Pick-Ups At Your Convenience. More Than 95+ Locations In the USA. Baby’s Away is the largest baby equipment rentals service with over 95 locations throughout the USA. We provide clean, quality baby gear (cribs, car seats, strollers, high chairs, toys, etc.) for your children so that you can enjoy your stay while traveling away from home. 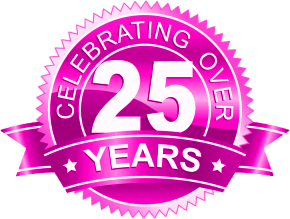 We have been providing quality baby equipment rentals for over twenty-five years with a location in most major resort and metropolitan locations. We are insured and all of our operators are background-checked. We carry a full line of baby gear for your rental needs when you are traveling away from home. Baby’s Away is operated by local parents and grandparents who want you and your children to enjoy your visit. Our local Baby’s Away operator will deliver the baby gear to your destination and pick up the equipment after you leave giving you more time to enjoy your visit. We carry a large inventory of baby and children’s rental equipment. For your peace of mind, all baby gear is safety checked and thoroughly cleaned and sanitized before each use. 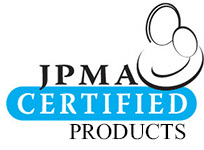 All locations are insured, professionally staffed and use baby equipment certified by the Juvenile Product Manufacturer’s Association. To see a listing of all of our locations please visit our locations page. We provide baby gear rentals in over 31 states and 95+ locations throughout the US. It’s easy to become nervous in anticipation of a plane ride with a toddler. One never knows how the child will behave on an airplane, and a dreaded temper tantrum breaking out during the middle of the flight is a true possibility. These days, families can actually be removed from airplanes before take-off if there is an unruly child on board! So, the best way to avoid any such problems is to pack toys and activities for the child that will prevent boredom. Boredom is the number one reason a toddler misbehaves on an airplane. Unfortunately, it’s impossible to pack a child’s entire playroom and bring it on the plane. In fact, it’s harder than ever to bring multiple toys on an airplane due to carry-on restrictions. This is why it’s important to think about and analyze the specific items that will be brought on the plane for your child. Pack toys that are new to the child: New toys are exciting and fun to open, figure out, and play with. Coloring Books: Bring along a coloring book and a brand new box of markers or crayons. Sticker Books: For some reason, sticker books and toddlers go very well together on airplanes. Sticker books can provide fun for a child for an extended period of time. Books: Bring your child’s favorite book, and a new book too. He or she may want you to read them several times. Magnetic Toys: Magnetic Toys, as long as the pieces are large enough so that they don’t pose a choking hazard, are great for airline travel. Since magnets tend to stick together, it’s easy to keep the pieces from rolling around the airplane cabin. The key to presenting toys to a child on an airplane is to take items out of the carry-on bag one at a time, and also gradually. Don’t take a new toy out of the bag and let him or her know that there is another toy just waiting to be released. This may cause the child to lose interest in the first toy very quickly. Also, keep in mind that there will be a return flight, so save some of the toys for that flight too. When you arrive at your location, Baby’s Away offers a toy bucket that has age appropriate toys for your child. Many of our customers call our toy bucket the babysitter bucket as the toys keep your child occupied for many hours and there is a good variety to keep them interested over several days.